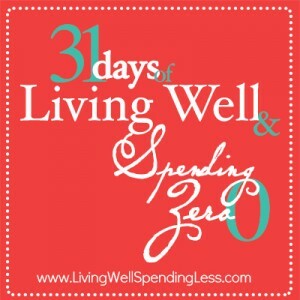 This is the twenty-fourth day of my 31 Days of Living Well & Spending Zero challenge. To read all the posts in order, start with Day One or visit the Overview Page. I’ve said it before and I’ll say it again: What’s better than free? There is just something so thrilling about getting something for nothing. Yesterday we talked about some great places to find free money; today we are going to score free stuff. Before we go on, however, I’d like to offer a little word of caution. Avoid getting something just because it is free. Use the following tips to help you find things you actually do need, but remember that it is okay to say no to something you’ll never use, even if it is free. Amazon.com is by far my favorite place to shop online for SO many reasons–awesome prices, Subscribe & Save, Amazon Mom, Amazon Prime 2 day shipping, the Lightning Deals…..I could go on and on–but my very, very, very favorite thing at Amazon is the FREEBIES! Top 100 Bestselling Kindle Books-click on the tab for the top 100 FREE books; please note that these free selections change frequently! Lots of companies give out product samples all the time. 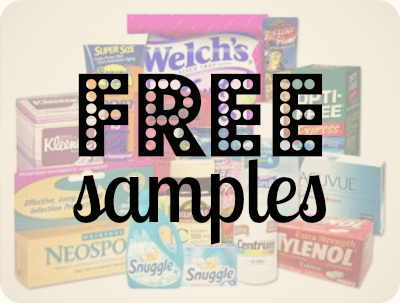 If there is a particular product that you would really like to try, you can call or email the company to request a sample. You can also follow your favorite brands on Facebook to be updated of special promotions, or simply follow a great blog that focuses on nothing but freebies. My very favorite place for finding freebies is my friend Heather’s site Freebies 4 Mom. She only posts the best free sample offers and makes sure all the offers she posts are both legitimate and spam-free! Almost everyone who’s watched an episode of TLC’s Extreme Couponing wants to know the answer to the same question: How do they get all that stuff for free? 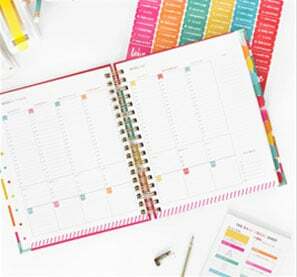 While the shopping trips shown on those shows require months of planning and are far more extreme then is realistically possible on a day-to-day basis, it is pretty easy–and even common–to get free stuff when you use coupons. The “trick” to getting free stuff is really just common sense: Pair a high value coupon with a great store sale and get the product for free. In order to do that, however, you need to understand how to pair coupons with store sales, and you need to use coupons on a regular basis. It’s not hard, really, but it does take a little time to learn. 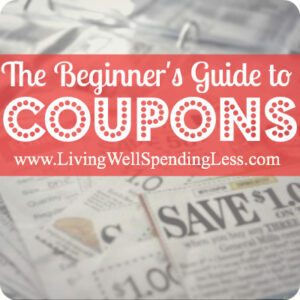 For step-by-step instructions, read my Beginner’s Guide to Coupons. We’ve all heard it said that one man’s trash is another man’s treasure, and that is the premise behind Freecycle.org and the free listings on Craigslist.org. Both sites are free to use, although on Freecycle you do have to register and find a local group to join. It is pretty amazing to see what people are giving away! I found everything from a free couch to a dresser to a working 55″ television set to a pile of wood pallets and pretty much everything in between. 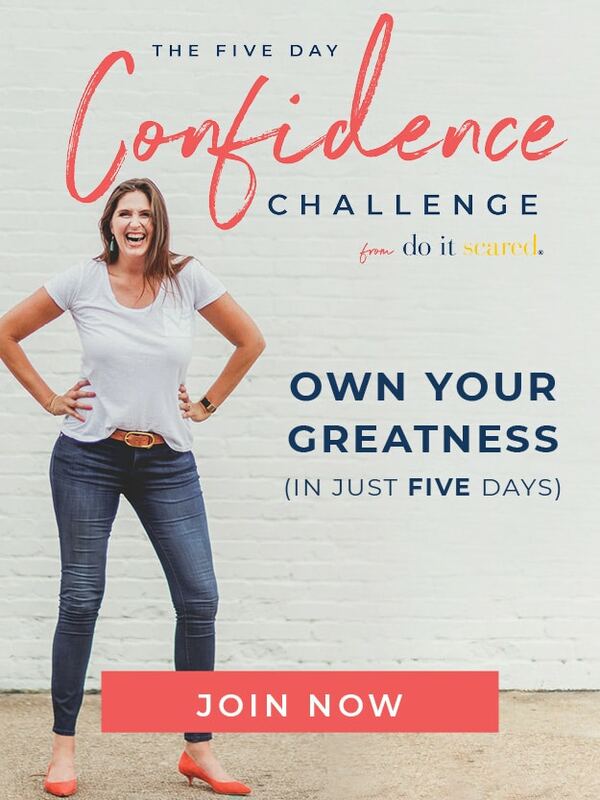 You could practically outfit your whole house for FREE! It is also a great place to find supplies for some of the awesome upcycling projects I posted last week, which I am now even more inspired to try! 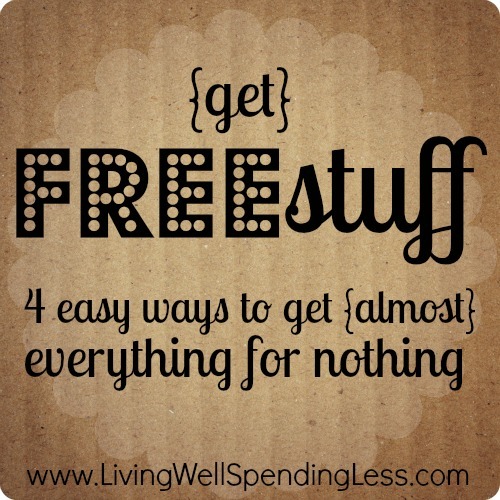 Your assignment today is to figure out a way to get something you need (or really want) for FREE. It can be anything you want, big or small, expensive or cheap, just something that you would otherwise normally spend money on. Can you do it? What are your favorite freebies? How do you find them? I love free stuff! I like that you posted the warning about not getting something just because it is free–I am SO guilty of that, especially with coupons! I am trying to get better. I’ve never thought about getting free stuff from craigslist or freecycle, but now I want to check it out! Thanks Ruth! Just a note to tell you that I have been following you since early last year when your YouTube videos taught me to coupon. I found you to be such a kind and gentle person on the videos that I read your blogs and searched out other sites you recommended. I still pop in every so often to see what is going on in your world and I still just love your insights! Thanks for sharing all that you do and may God continue to bless you and your family. One problem with Craig’s List and Freecycle: you most likely have to have a CAR or other vehicle to pick up the item you want. Very rarely have I found someone who was willing to deliver. Since my husband and I are both disabled, and only live on ONE disability income (mine, since I worked while he raised our children AND it worked, our kids are terrific!) we really need to watch our few pennies. Our disabilities preclude us from driving. Not just financially, physically, we are unable to drive. I wish there were some way around this, but there isn’t. Same with getting our animals to a vet: we cannot take them on public transportation, and we cannot afford an at-home vet. Not whining, stating facts. We have a problem therefore, with good vet care. When we got our animals, we could afford the car, the vet care, etc. Now, we cannot. Oh well. I did want to point this out: not everyone — especially in urban areas where keeping a car is too expensive — can use Freecycle and Craig’s List. I think it is rather frowned upon to do this. But, last Saturday my neighborhood was having a giant yardsale fest sort of thing going on. There were over 50 yard sales. I’m too poor to even go yardsale hopping so my boyfriend and I waited until the sales were packing up for the day and we drove up and down each ally until we found some fun freebie furniture. I got a new dresser and a new desk. I have some other stuff I need now, but I’m sure I will find just the thing in time. Not frowned upon. When I put something out, I love if someone re-purposes it befoe the garbage man comes. I love freecycle. I joined almost two years ago and have received some great stuff. It’s also a fantastic way to get rid of stuff. List your item, pick a recipient who then comes and picks it up! And Kim T, I see lots of people driving around on the night before garbage pickup looking for treasures. I have found some really nice items this way too. I know there are tons of people who put out good items hoping someone will pick it up and take it home. We do. Thanks for the tip on free e-books. Just got one by Beth Moore! I started my blog to help our family financially and I get products to review free. I also love free cycle! We used it to outfit a good bit of our home after going through Katrina. I have enjoyed your posts that I have read so far and can’t wait to get to know you better through your blog! I added you on blog lovin so hopefully I won’t miss much. Al three topics sound interesting. I will start with the first one. They share available opportunities for getting products, samples, vouchers, cards and all other stuff. So I can recommend it cause I use it too. I like to use freebiesfrenzy.com, they have some awesome freebies and samples posted daily.